With the addition of Anti Gravity, controls schemes and more new blocks to shake a stick at in the latest Unstable update we've decided to replace the old Community Core with a Showcase instead. Essentially these additions made what was already a difficult task almost impossible. So in order to properly show your techs the love they deserve we're changing how we do things slightly. Attach gifs, videos or images of Techs you want to be included in the Community Showcase stream! 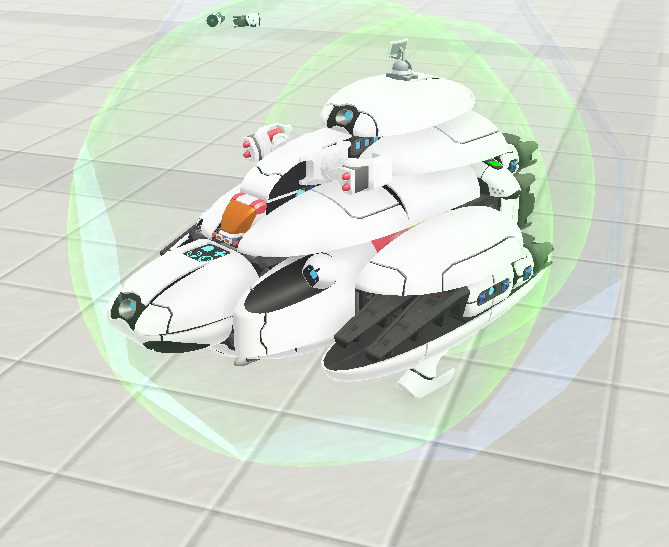 Community Showcase is a live stream where we showcase the best creations players have made in TerraTech. A limit of no more than THREE techs per submission. NOTE: DESCRIPTIONS for how Techs should be shown must be displayed in RED. Text that is not marked this way will likely be ignored. All instructions must be written in no more than 140 characters. This thread will be archived just before the stream to make way for the next wave of Community Showcase submissions. I believe they require charged batteries to operate. Yep, they work kind of like shields. P.S. please do increase the deadline, nobody is able to submit anything with less than a day to prepare. DESCRIPTIONS for how Techs should be shown must be displayed in RED. But you're only showing pre-recorded clips and images from us now, so the instructions will just be "please play my video"...? Or will you accept some snapshots, with simple default controls, say? Or techs to be shown in the old stable version? Yeah, how about Friday this week? I'm sceptical you'll get many recorded clips as it is, even with more than 21 hours to get to grips with the many changes. Prelude hover with the new QoL shinies (control blocks, trim gyros, air brakes, and hoverbug free using linear motion drives instead). And yes I know they asked for videos/gifs, but I don't have recording software so they get a straightforward hover with directions. After loading, hold Lift button till Y is at +100. Hover around as normal. W and S to pitch. A and D to yaw. Q and E to roll. Ctrl to thrust upwards and Shift to move forwards. Activate control block before flight. Yknow I just got into bed and I looked at that picture and thought to myself "maybe the Hawkeye healing bubble is just a little too big". I think I'll make the repair bubble a GSO and it will fit much more snugly and drain less power. (1) "HvrStr DropShip 1c" - Play the video. Snapshot attached if you wanna try, too. The stabilising computer is the only new block here and it's optional. So even after nerfs, this kind of design will likely still be campaign viable from mid-game with Venture level 2 with a GSO level 4 crafting base. (2) "HvrStr MiniPlane 5" - Play the video. Snapshot attached, too. There's not much in campaign that can stand up to 6 Cruise missiles. Again, big firepower in a crazy tiny package. No anti-grav, hover Steers as the sole motive power. But also demonstrating (clumsily) some of the awesome aerobatics you can now do with the new control schemes. Including easy VTOL planes that can hover, reverse, spin, flip and pirouette. Starting with a regular gyro, then a passive gyro for axis free manoeuvrers, and finally a stabilising computer for a plane that half hangs in the air, at any angle. A small but magic tech. You can stop it in the air. A/D to roll and W/S to pitch. I built it out before the v0.8.2 but there is no way to control it stably. Due to popular demand (and also to the fact I’m off sick) today’s Comm Showcase will be postponed until Friday. Is that a proper VTOL? GO MAD. I MEAN IT. DO BARREL ROLLS, FLIPS AND SPINS! Not to be confused with the T-wing interceptor. The junker, lower-quality version of the X-Wing that precedes the Z-95 Headhunter in terms of performance and combat. Still handles fairly well if shift is held during flight. Not suggested for frontline combat. Unrivaled control in the sky and the ability to stay stable at all 360º in all rotational axes, it is a very worthy adversary to the HaVCS, just waiting for the hover stabilizer to be more effective and positional like WhitePaw's. I present to you the newest version of the YWVS (Yuki-Wheel-Vertical Stabilizer)! As a bonus, it can clock over 90 mph alone! This is the combination of both worlds above to create a fighter that is very controllable and maneuverable. A new step in space-craft handling. DON'T LET THE BATTERIES DIE. wait... dis isn't a CC but a CS? and a limit of 3 techs? I've updated my original post with a couple of videos of the crazy compact aircraft you can currently make powered only by hover steers. You can play with the snapshots too, if curious. But also demonstrating (clumsily) some of the awesome aerobatics you can now do with the new control systems. Including easy VTOL planes that can hover, reverse, spin, flip and pirouette. Starting with a regular gyro, then a passive gyro for axis free manoeuvrers, and finally a stabilising computer for a plane that half hangs in the air. Sorry I'll probably be asleep for teh stream itself. Good luck. Tune in in 30 mins!